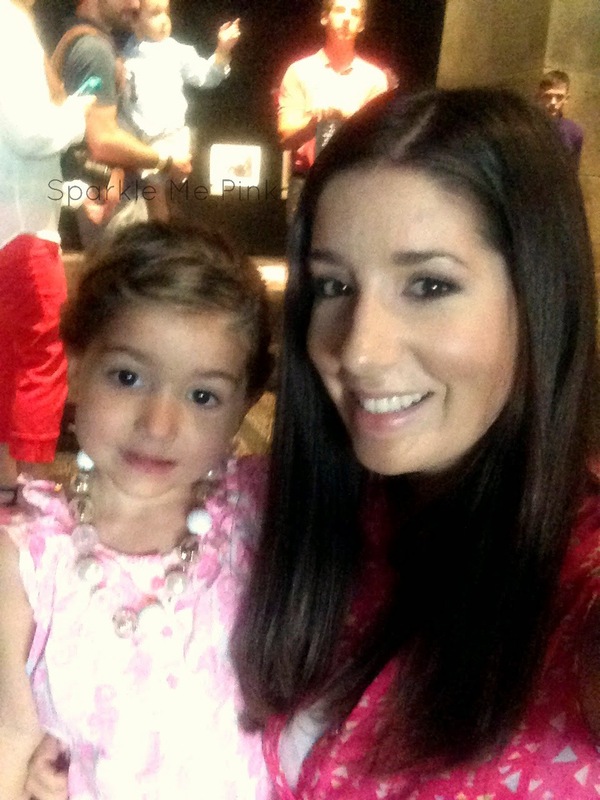 Last week my daughter Sophia and I had the awesome opportunity to check out Arizona Science Center's newest exhibit through a campaign with Blended Extended. Actually we had never been to the Science Center before so this was a totally new and fun experience for us all around. 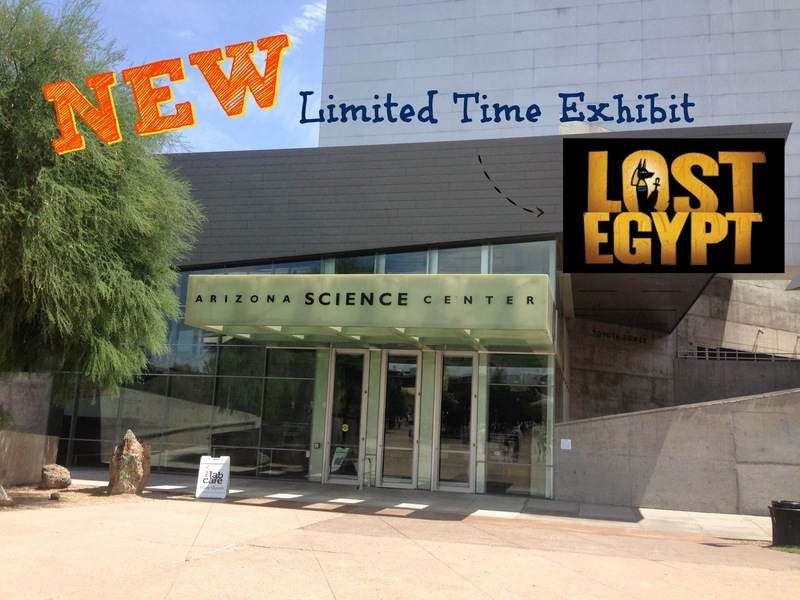 From May 31st - September 1st on the third door of the Arizona Science Center there is a fantastic limited time exhibit called Lost Egypt. 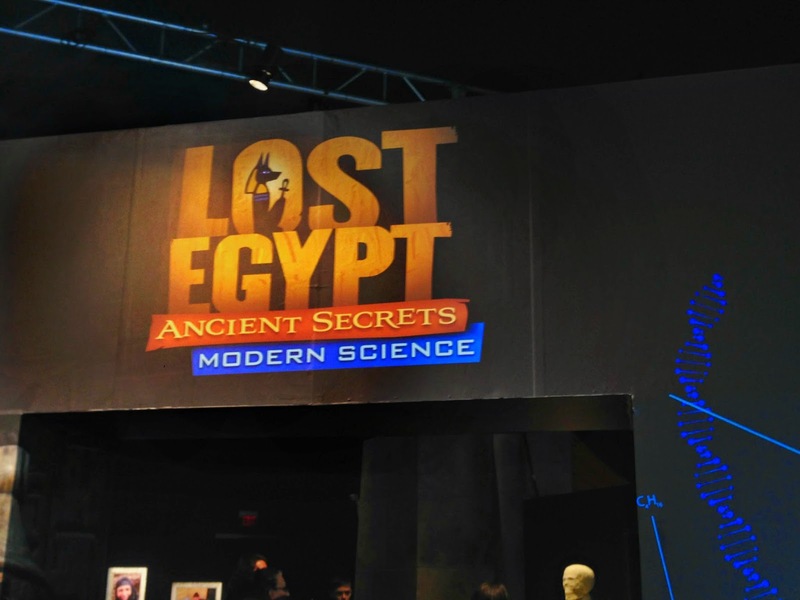 The exhibit is based around the premise of how archaeologists use modern sciences to discover and understand ancient Egypt. Upon entering you are greeted by standing, traditionally wrapped white mummies. This is perfect selfie hot spot. Around the corner you enter a large room with a sit upon camel ( another perfect photo opp) along with several booths and sections laying out the wondrous details of ancient Egypt. One station we found really neat was the sand storm bubble. This encapsulated wind tunnel mimicked how the sandy landscape of Egypt is and was so easily shifted with just the gust of the wind. Sophia had fun turning the wind directional wheel. She was able to basically move the sand from one huge pile, to all flat, to a bother oil on the other side. The next station we hit up was pyramid building. 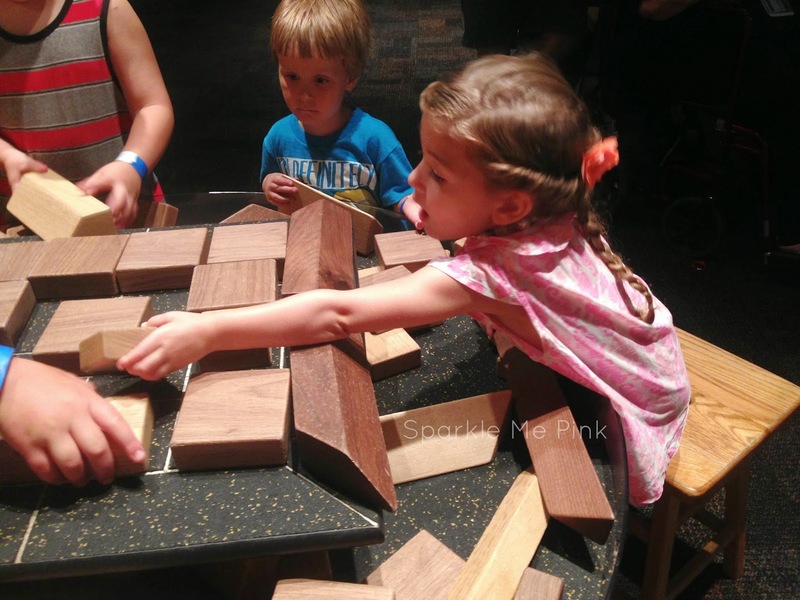 She had a lot of fun figuring out the pyramid puzzle with the help of some other museum goers. I find it so heartwarming when kids work so nicely together. 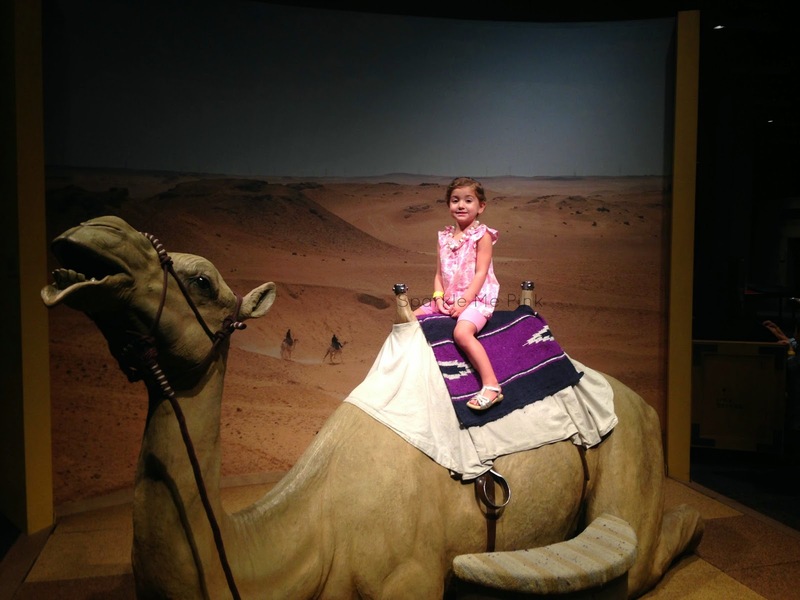 These interactive stations really got her warmed up to the museum and excited to learn more. On the other side of the exhibit there is a whole other area displaying real artifacts and trinkets. The beautifully handcrafted antiques were really cool to admire. There were gorgeous amulets and canopic jars. We weren't allowed to take photos in this area so you will just have to head on over to the exhibit and check it out for yourself. It is truly fascinating. However that was not her favorite. Sophia's favorite area of lost Egypt was the real life mummy and sarcophagus. This anonymous mummy whose adopted name is Annie had her own little tomb room with in the exhibit. Even though my daughter was one of youngest in our group, I really feel like she absorbed a lot of what the exhibit embodied. She couldn't wait to get home and tell her big brother about the mummy's and pyramids. Enter the Rafflecopter below for a chance to WIN one of 3 Family Four Pack tickets to the Arizona Science Center. Sparkle Me Pink is not responsible for the delivery of this prize. Prize fulfillment is the responsibility of the sponsor. If you have any questions please reference my disclosure policy page or email me. (sparklemepink88@gmail.com) This giveaway is not sponsored by, endorsed by, associated with, or affiliated with Facebook, Twitter, or Pinterest in any way. I have been wanting to take the boys here! It is so expensive normally, though. I love your reviews they are also very relatable. I think my son and hubby would love this they love Egypt and just learning in general. I appreciate you saying that ! Yes it was so cool and not just this exhibit but the whole museum. We made sure to go to every section - there is even an outdoor water science music sort of thing, really neat stuff ! FUN!!! I'd love to take my kiddos! I love Egyptian exhibits and would love to go! Nice review. I wish we had something like this where I live to take the grandkids. They are so into science that this would be a perfect place to take them. The sandstorm bubble sounds like something my 4 year old would love!